Videos for making beef jerky and sausage are the easiest way to learn how to do this in your own home. These step by step videos show you just how simple sausage making and beef jerky making can be. 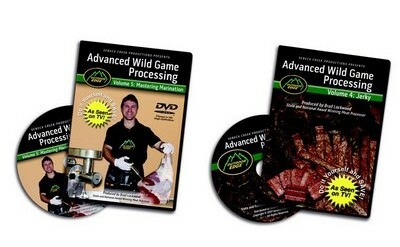 Outdoor Edge Instructional Game Processing DVD. Learn from award winning meat processor and TV show host Brad Lockwood all the tips and techniques to process big game from field to freezer. Each video show step-by-step instructions from multiple camera angles with extreme close-ups. In this DVD - V..